Kooltronic has always enjoyed a proud tradition of engineering and producing the highest quality products available while maintaining environmentally-friendly industrial practices. 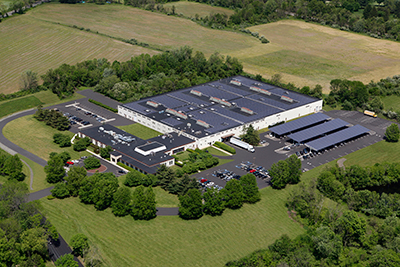 As an example of this commitment, Kooltronic is currently powered by over 2,600 solar energy panels installed on the roof of their facility during the summer of 2006. At the time of construction this solar power system was among the largest commercial installations in New Jersey. Solar power needs no fuel and produces no waste or pollution. This independence from non-renewable energy sources is an example of Kooltronic's dedication to the environment, and evidence that they are looking with an eye to the future. Prudent foresight on the part of government and industry has led to laws and refrigerants that will help reverse the damage to the ozone layer; and by international treaty, as of 2015, the manufacturing of air conditioning equipment with R-22 refrigerant has become outlawed. Kooltronic was among the first manufacturers in the industryt use ozone-friendly R-134A refrigerant in its air conditioners. Since 1992, Kooltronic has used R-134A in all of its air conditioners for which R-134A compatible compressors are commercially available. Kooltronic also uses R-410A refrigerant for compatible compressors.